<firstimage=”//static.makeuseof.com/wp-content/uploads/2011/03/logo1.png” /> Now that Instagram Share Your Life in Photos With Instagram Share Your Life in Photos With Instagram Instagram describes itself as a "fast, beautiful and fun way to share photos with friends." After a quick download and signup, I've found it to be everything it had promised and more. Read More has released a public API, sites that were formerly shut down Instagram Shuts Down Third Party Site Followgram [News] Instagram Shuts Down Third Party Site Followgram [News] Read More , have the chance to re-open, and are competing with the many third party sites that are popping up around one of the most popular iPhone camera apps to hit the iTunes store. While Instagram’s popularity is undeniable, one of the main drawbacks of Instragram is that the developers have not provided a web interface to comfortably browse the latest images posted or discover new users. It’s all done directly from within the app. 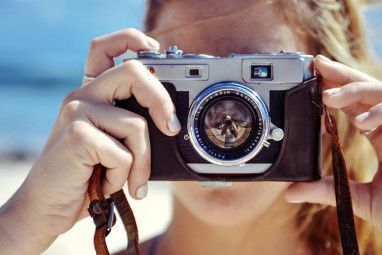 Whether you just want to browse images that are shared, keep up with your feed, create a portfolio of your Instagram images, or even keep up with the most popular tags on Instagram, each of these sites offers different ways of enhancing the Instagram experience. One of the most popular Instagram websites, Followgram, has relaunched as SnapFinch, a site that makes it easy to browse and search for photos shared through Instagram, as well as PicPlz, Steply, Burstn and Snapr. SnapFinch’s home page features the most popular photos, as well as the latest tags and users. Clicking on any given photo on the homepage, rather than open the photo up, will open up a page of photos with the same tag. From the tags page, you can then open up individual photos from where you can share the picture through Twitter or Facebook, or add your comments to the photo. Inkstagram provides a more interactive web-based user experience which actually reflects the Instagram user experience, but in order to do so you have to grant the site access to your Instagram account. Not only can you browse the most popular photos and search for specific tags, you can also browse your own feed featuring photos of the people that you , and a feed of your own photos, all from a small menu at the top of the page. Photos are displayed in a grid, and you can toggle the thumbnail size between small, medium and large. Opening up any given image, you will see how many likes it has received, comments, tags, when it was taken, and be able to like or leave a comment of your own. A great feature of Inkstagram is that you can actually discover and follow new users through the website. If your primary interest is to know what the most popular hashtags on Instagram are, in realtime, Bajanbot has you covered. It’s a simple, no frills site which updates itself every 15 minutes, displaying a list of the top 20 hashtags. Clicking on any given hashtag will take you to Snapfinch where you can browse the most popular tags. 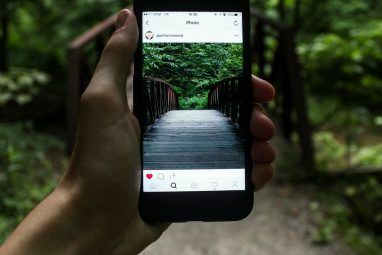 Instagram Popular Photos is another option for browsing the most popular photos shared on Instagram, as well as providing a way to search for tagged photos. An extra feature that is unique to this site is the ability to filter search results using specific filters. Instawar takes a very different approach to browsing photos taken using the Instagram app. If you have some time to kill, play the tournament-style game, where two photos are pitted against each other and you choose which one is better. If you want to submit your photos to Instawar, you can do so through the sister site, Instagrid. After granting the site access to your account, Instagrid provides you with an attractive online portfolio of your photos. Instagrid and Instawar have a third sister site worth mentioning, Printstagr.am, where you can order poster or sticker prints of your Instagram photos. Instagre.at is another slick option that allows you to browse the most popular images shared on Instagram, search for specific tags. 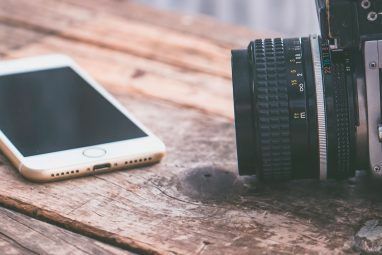 Granting the site access to your Instagram account allows you to view your own photos and those in your feed, but there do seem to be a few kinks that need ironing out with this feature. Like on Inkstagram, you can follow new users through the Instagre.at web interface. What are your favorite Instagram third party websites? Let us know in the comments. I know it's not a site as such, but the mac client 'Carousel' is well worth a mention. you strongly write your post again with webstagram! Check out Barbarian Group's Screenstagram, http://barbariangroup.com/posts/8318-screenstagram, a screensaver using the Instagram API, available for OS X 10.6 and higher. Great article. Just an update on Snapfinch, you are now able to login and like, follow and comment on photos. It also lets you view your combined timeline for Instagram and the other services it supports. Snapfinch is no longer functional. Thanks for the update, Luis! Hey Jason, it's been a while:-) how have you been mate?